Do You Ever Get Confused About The Word “Eve”? There’s “All Hollows Eve”, Christmas Eve and New Year’s Eve . . . But I could have it wrong . . . it’s how I see it. In any event, I wish you a safe and sound New Year’s Eve. Yes, it will be a night of celebrating . . . some may be foolish and drive under the influence . . . please be safe and if at all possible, stay off the streets tonight. And caution your children . . . we want to have a Happy New Year, not start it out with heart ache, sorrow, loss or serious injury. I know most people don’t think about such things . 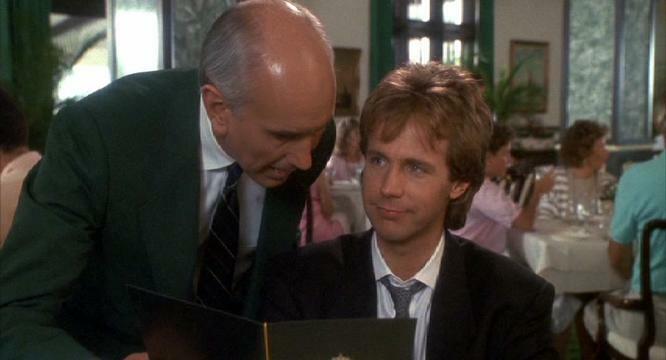 . . and it isn’t something to dwell upon, but a word of caution is important as a reminder. Always a dangerous thing to do . . . I want to give you some sort of paper craft you can do with or for your family and friends. I think I’ve pretty much shared things in the past . . . and this is a last minute thing on my part . . . I do love Ray Keim’s paper crafts. He is truly a master with the DisneyLand and DisneyWorld Haunted Mansion. I know it’s New Year’s Eve rather than All Hollows Eve . . . but when people gather . . . there are always ghost stories told or stories of strange or unusual or even funny events shared . . . and everyone seems to like these paper crafts . . . It will keep the family busy for quite some time. It is a fun way to spend the day and through to the New Year. 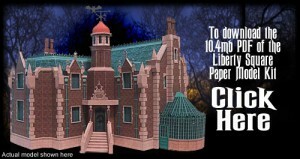 Just click the image and you’ll be able to print out the instructions and the actual pieces you’ll be putting together of this wonderful Liberty Square Paper Craft. And take some time to look at Ray’s website. There may be something you would prefer to download. It is a wonderful website. You may want to help this talented artist out by giving him a donation to help him keep these paper crafts free. 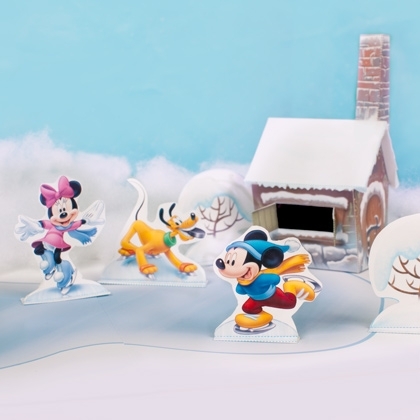 For younger children, this Mickey and Friends Ice Skating Paper Craft Playset may be exactly what you need to keep children engaged this New Year’s Eve. Just click the image and you’ll be taken to the page to download this winter playset. This is great fun for children to engage with their favorite Disney icons. It’s good for children to use their imagination and come up with some sort of story . . . perhaps preparing the a great ice skating race or a delightful ice skating talent show. Children have better imaginations . . . maybe you can give your children a little boost in seeing what story they could create to go with this delightful playset. I downloaded mine on card stock to make them a bit more durable. They do get a workout when children are playing and racing their favorite character to the finish line . . .
Have a safe and fun New Year’s Eve!!! Not Unusual For Christmas . . .
It’s time to regroup a bit . . . in anticipation for the New Year . . . Yes, time is going by quickly. It will be spring soon . . . and summer . . . and then fall . . . and it all begins again. It is definitely like clockwork. The seasons and holidays come . . . and go . . . blending together into a beautiful collection of memories . . . and plans . . . and celebrations . . . There are the good times . . . sad times . . . and so-so times . . . which all come together with wonderful memories that you can cherish and share for many years to come. I’ve Been Thinking About The Christmas Spirit . . .
All that magic and merriment. And how I can hold on to it throughout the year . . . not as a New Year’s Resolution, but as something I truly feel within me . . . that anticipation . . . the joy . . . the wonderment of it all . . .
For quite some time I’ve been reworking my other websites . . . and eliminating quite a few. And thinking of eliminating a couple more . . .
We do grow, no matter how old we get. What was once important doesn’t seem to be as much as before. It’s about being true to myself . . . and to others . . . but to make what is within me shine forth for others to see. It is that inner joy . . . the thankfulness you feel . . . the desire to make others happy . . . and to be happy yourself . . . Allowing the true you to be visible without being timid . . . or seeking approval. It has nothing to do with showboating, but being authentic . . . sure we put our best foot forward, but wouldn’t it be wonderful to have that as who we truly are? Just being who you are without giving it any thought . . .
And not being who I truly am . . .
It’s about feeling comfortable with yourself and how that can shine through you for others to see. It possible others won’t see it . . . which isn’t your problem — it’s their problem . . . the more authentic you can be, the easier and more joyous your life will truly be. I thought having a whole bunch of websites would be my ticket to fortune . . . no, it didn’t work out like that. 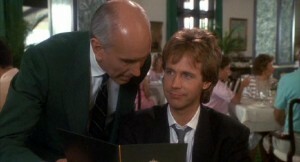 And, to be honest with you, it wasn’t me or what I really wanted. So I took some time off to think and dig and search . . .
And I had to make some difficult decisions . . . I have 5 of the eight websites remaining. One I’m ready to let go, but there are two others . . . one has become an “old friend” but one I’ve ignored . . . I can handle two websites . . . even with taking a necessary break now and then . . . but the need for a break was because of the “burden” I felt with the decision I was to make with my other websites. It’s what makes me happy and hopefully my visitors, too. I have read the theories and practices of having a successful website . . . but heart seems to be missing . . . and I don’t want success without heart. So, maybe success isn’t meant for me . . . or things will come around and people will realize how important heart is to everything you do . . . including blogging. And, thinking back to those two cans on a string . . . and how as a child I lived in the “now” . . . everything had to do with what I was going to do “now” and to thoroughly enjoy it . . . playing with friends or reading a book or jumping rope . . . or just enjoying nature at the moment . . .
As adults we forget sometimes what is truly important . . . we do fret and worry . . . we do dream and anticipate . . . we plan for the future . . . but when that apple pie is calling our name, we drop everything to answer that call. Nothing else matters . . . it’s digging into that pie and savoring the delicious essence of it . . . truly being in the moment and holding on to it . . . allowing it to linger into the next . . . and the next . . . bite after delicious bite. I’m sure you know that feeling. 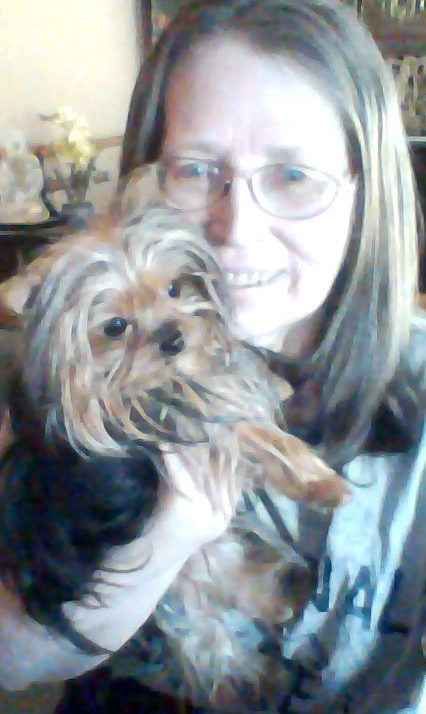 I experience it when I’m sharing quality time with my precious Yorkshire Terrier, Diva. I do love her and appreciate her more each day. She is truly a blessing to me. We can’t do and be everything . . . we do, at times, need to step back and find what is truly important. In blogging, it’s about spreading happiness and giving your visitors something of value . 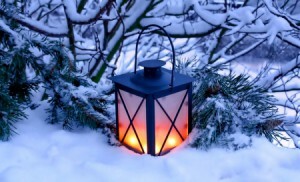 . . which is the spirit of Christmas that we can share throughout the year. And it’s knowing that we have had a truly honest productive day of spreading good cheer and goodwill to all . . . not self promotion and making sales . . . I do love making sales, don’t get me wrong, but I want you to truly buy only when you want something. I may not give the best reviews of products. They either work or don’t. I either like them or don’t. They serve a benefit to me and may be something of value for you . . . only you can decide that for yourself. We make it a good year . . . or not so . . . Yes there are circumstances beyond our control, but basically I believe we can either draw goodness or sorrow into our lives by our attitude. Sorrow of losing loved ones is inevitable at times, but other sorrows and problems perhaps could be avoided with a positive outlook. There are always those who spout doom and gloom . . . I choose to be one who has a more positive outlook. We may be in a drought, but this year we’re going to be getting more rain . . . not that it will be turning things around, but it is a start. It is forecast to be a wet weekend and perhaps a wet New Year’s Day. I love listening to the rain while writing my blog. I love the colder temperatures. It’s always good to bundle up beside the fireplace . . . this is my ideal with a hot cup of cocoa, coffee or tea. I try to think of the more positive things of life . . . and honor those who have passed and I miss. I do get a bit melancholy this time of year, but I try to acknowledge it and then move on by being busy. I do wish all of you a very happy, prosperous and joyful New Year!!! It’s a political year. It’s also a leap year. Most importantly, it’s a New Year. Politics is a private matter. We all have our views. And what comes will come. It is the nature of the world. Change is inevitable . . . whether we like it or not . . . There are many things in our lives we may want to change . . . we may want to spend more time with family and friends . . . or learn something new . . . or clean out a closet . . . there is always something we have brewing on the back burner of our minds. Each year we make promises to ourselves that this year . . . Yes, we do this regularly . . . and when the time is right, we will accomplish those things. I’m not one to dwell on those things that I should have done . . . I choose to focus on those things I want to accomplish . . . while taking care of those things I must do on a regular basis. Yes, we do have responsibilities. And those seem to be our priorities. Then everything else takes its place. I see those areas in my life that are in need of change. And that’s where I begin. Nothing grand or ground breaking, but an attempt day by day to work on those changes. Baby steps. Over time, those changes will be part of my life and the destination is within sight. I can see the improvements. It’s good to see improvements and celebrate them. Sure, you may have a long way to go, but you’re moving in the right direction. It’s about making progress . . . and you have plenty of time to fully achieve success. I like being my own cheerleader. It’s good to encourage yourself . . . and make adjustments along the way. For some it’s like wiping the slate clean. For others it’s taking care of old business. We can’t foretell the future. We can only do what we can to make each day count. No matter what it entails. It could be spending quality time with your family or reading a good book or resting. Each day will be different. And we must value each day and honor how we feel. There will be melancholy days . . . days we don’t feel like doing much of anything . . . good weather days and bad weather days. It’s just a matter of taking them in stride and doing what feels right. I learn a lot from books and movies . . . maybe not what the authors wanted me to learn . . . but sometimes something clicks and gives me a solution to something I’ve been thinking about. They may do the same for you. We need to be aware of our environment . . . to see how the seasons change and the weather changes . . . celebrating that . . . it is a process . . . a cycle . . . and it does affect us . . . even without our knowing it. Today is windy here. I’m not fond of the wind, but it does serve a purpose. I may not be fully aware of the why and how, but it is something I accept because I can’t change it. I do what I can within me . . . I can’t change the weather or make things happen to suit my mood. I know there are people who believe they can . . . and many can with a strong belief system . . . but I believe it has to do with one’s perspective. When we focus upon good things, good things will come to us. And the opposite is also true. Just honor your thoughts, feelings and beliefs. I’m not trying to change you in any way. You know what is best for you. I just want to encourage you to be as positive as possible to have a good life . . . one you want for yourself. My goodness!! Christmas is here!! I find it surprising. The days, weeks and months seem to have flown by. I remember preparing for Halloween . . . then Thanksgiving . . . and Christmas. 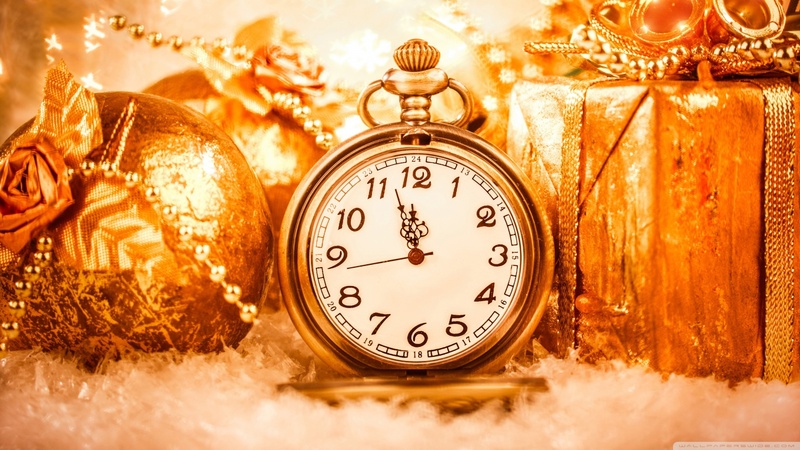 Next is the New Year — 2016 . . . unbelievable. Maybe I should begin preparing for Easter . 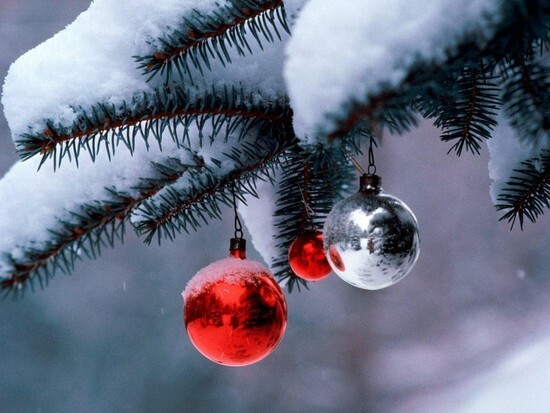 . . it will be here in record time, just as Christmas has arrived so quickly. It is said that the older you get, the quicker time seems to pass. As we get older we may slow down a bit. When we’re younger we’re trying to cram so much into every single day. Wouldn’t it seem logical that one with a busy schedule would find the passage of time going by at a faster pace? I know there’s the New Year and the Super Bowl and Valentine’s Day and other holidays . . . but . . . Easter for 2016 will be Sunday, March 27. In some ways that seems quite a ways away . . . but back in October, Christmas seemed so far away . . .
Easter seems to be coming early this coming year . . . it’s been in the April for awhile. Now, the end of March. Before I March Ahead . . . How’s Your Christmas? I’ve been getting my fill of Christmas Carols. I do love them and will miss them. I will be playing them while I take my Christmas tree down and put away the decorations. It is part of my tradition. I play Christmas Carols while decorating the tree and the house. So it seems fitting to do the same when taking everything down. Now, I sometimes keep the tree up until after the New Year . . . and sometimes right after Christmas. In the case of my blogs . . . except for ChristmasGoRound.com things will be changing over the weekend. ChristmasGoRound.com will be still about Christmas . . . it’s my year round Christmas website. It is Christmas 365 days a year . . . not a repeat, as in the movies . . . just having the focus of Christmas throughout the year. I’m also eliminating some of my websites. I want to be able to devote time to the ones I’m keeping. With time going by so quickly . . . I need to concentrate on those websites that are the most important to me. I do hope this Christmas Day was filled with joy and goodwill for you and your family. It may be a rainy day for me. During the early morning hours there was rain . . . and I do hope it continues. We need the rain and I have no outdoor plans. It is cold . . . which is quite refreshing for Christmas. I feel good. This has been a wonderful Christmas. Maybe because it was my precious Diva’s first Christmas with me. She seemed to feel right at home with the tree and the decorations . 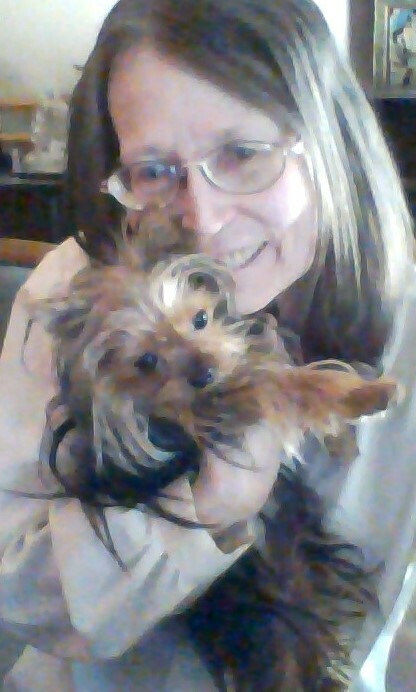 . .
My little Diva is a remarkable little Yorkshire Terrier that brings me much joy and happiness. I’m sure you feel the same about your furry pets. Have You Noticed That Most Of Life’s Major Decisions Are Made When We’re Young And Inexperienced? You start school at a young age. I do marvel at those who know what they want to do. Most of us stumble upon it. The majority of us don’t have a wealthy family or a family business to join during high school and after college. Too often we find things we don’t want to do. Or there is a limit to what we can do . . . given our education and the choices we’ve made. So, success doesn’t come easy. If you turned right instead of left . . . If you went for that job interview instead of staying home . . . If you participated in that Christmas Play instead of staying home with a bad cold . . .
How much is based on circumstances rather than actual choices? There are also times when it would have been better for you to stay home than to attend a particular party. It sometimes works both ways. You may be in the right place at the right time . . . or in the wrong place at the wrong time. One story I encountered recently was about a woman who decided to pursue her dream, leaving behind her boyfriend. She was very successful . . . but lonely. She learned that to succeed in her particular career, that took up 100% of her time . . . no visiting family during the holidays, no vacations and no friendships outside of work . . . and even then, she had to be careful with backstabbers. But, the old boyfriend from years earlier decided to contact her. And, since it was a Christmas story . . . strange things do happen . . . she found herself with the boyfriend, now her husband with two great kids. She was an instant Mom who didn’t know anything about being a mother or a wife for that matter. Of course, she wanted her old life back . . . but along the way of being stuck in her new circumstance, learned some valuable lessons about herself, her then husband and her then children. Then, boom! She’s back in her old life. This was quite confusing for her . . .
She liked the “family” . . . but it wasn’t so much that she had to choose between the two lives she experienced . . . but to see how things could play out for her future . . .
You may have noticed how you make adjustments regularly in your life. We do learn and grow throughout our lives. We may re-evaluate our priorities from time to time. We could make some major changes or little ones along the way. I had a friend a long time ago who received an opportunity to buy out a shoe repair business. He had no idea what he was doing, but he learned quickly. And he enjoyed what he was doing. He also moved to an area where his new skills and business was in demand. It wasn’t a success right away . . . he worked hard for little pay . . . fortunately, some people would pay him in food. Barter got him through some rough patches. I’m sure there are some who experience success right away. It hasn’t been my experience or those I know, but eventually things work out. As I’ve said in many of my posts before, it’s all a matter of perspective. We can choose to view the glass half empty or half full. It does take practice to be more optimistic about life and change. You see, deleting some of my websites could prove to be a major mistake . . . but I’m not going to get upset about it . . . it’s best to move on and learn from my experience. We’re usually told we gave up to fast . . . but in reality we do what we do for however long we do it until we decide to move on. No one knows the future or knows completely how you feel and why you made the decision you made. Sometimes the truth eludes us from time to time, but one day it does dawn on us. I think things have to do with timing . . . and knowing what opportunity is the best “fit” for you. It is what works with your priorities . . . and to a large degree with the opportunities you choose to take or pass. I don’t dwell on it. From time to time I do wonder. I’m pleased I haven’t been swooped away in a real life fantasy to experience all the confusion of seeing first hand “what if” . . .
It’s entertaining for books and movies, but experiencing it first hand . . . no thank you. It is human nature to look around and wonder . . . seeing people out and about in malls and super markets. It’s interesting to watch people as they’re watching you . . . wondering what your life is all about. We’re always making comparisons to some degree. During this Christmas season, it is wonderful to get out and about. It’s fun to gather with family and friends to celebrate Christmas and make wonderful new memories. Please be safe and joyous. I wish you great tidings of joy.